Dr Anastasia Constantinou is the Head of the Innovation Management Unit at the Research Support Service of the University of Cyprus, dealing with the management of the Intellectual Property Rights of the University research results and the technology and knowledge transfer of the exploitable research results and knowhow of the University. She is also involved in the activities of the Centre for Entrepreneurship, C4E, of the University of Cyprus. 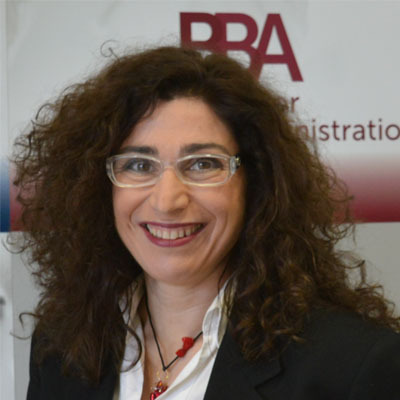 Anastasia combines academic, industrial, business and consulting background in the fields of Innovation, Entrepreneurship and Research for more than 25 years having lived and worked in three countries, UK, Greece and Cyprus. She actively supports the development of start-ups in Cyprus, having played a key role in the design and development of the IDEA Programme created by CIIM and the Bank of Cyprus and in the design and coordination of the IDEA programme structured Accelerator training. She has taught academic and practical courses on entrepreneurship and Innovation, business model and business plan formulation and regularly provides mentoring to Cyprus based start-ups and spin-offs. She has played an instrumental role in the creation of two academic spin-offs in Greece and in the patenting of technologies and in negotiating licensing agreements for the exploitation of research results from Universities and research institutions in Greece and in Cyprus. She is also the main inventor of an international industrial patent. Anastasia holds a BSc in Metallurgy from the University of Manchester, UK, an MSc in Materials Research and a PhD in Materials Engineering from Imperial College of Science, Technology and Medicine, UK and an MBA (Entrepreneurship) from CIIM, Cyprus.